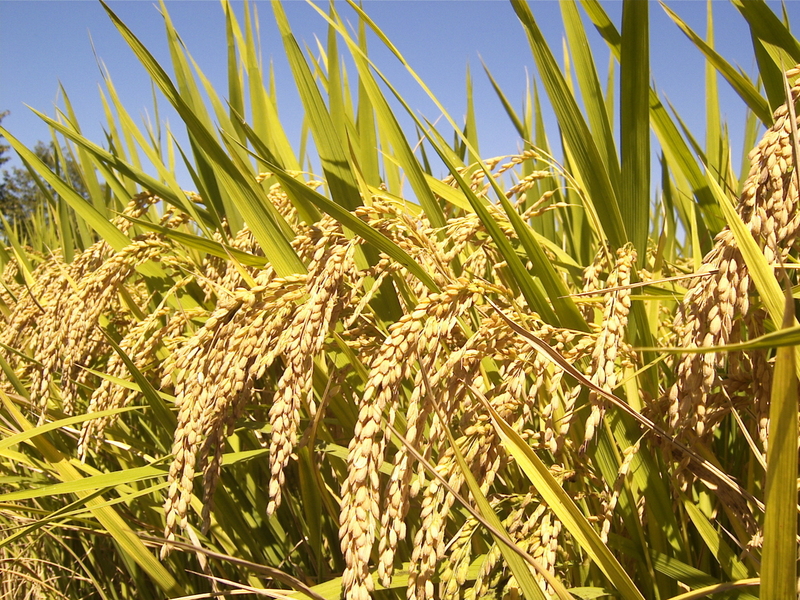 Description: Rice is a member of the grass family with an average height of 3 feet. Each stalk ends with a panicle holding grains. The rice stem contains air chambers that allow air to diffuse from leaves to the waterlogged roots. 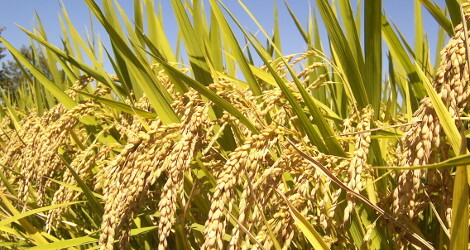 Rice is cultivated in flooded fields or paddies. Rice is greatly aided by a small aquatic fern, Azolla that has a symbiotic relationship with nitrogen-fixing alga. Rice farmers have found that growing this fern with their rice plants increases the amount of nitrogen available to the plants. Azolla is used as a green compost. Uses: Rice feeds more people worldwide than any other crop. 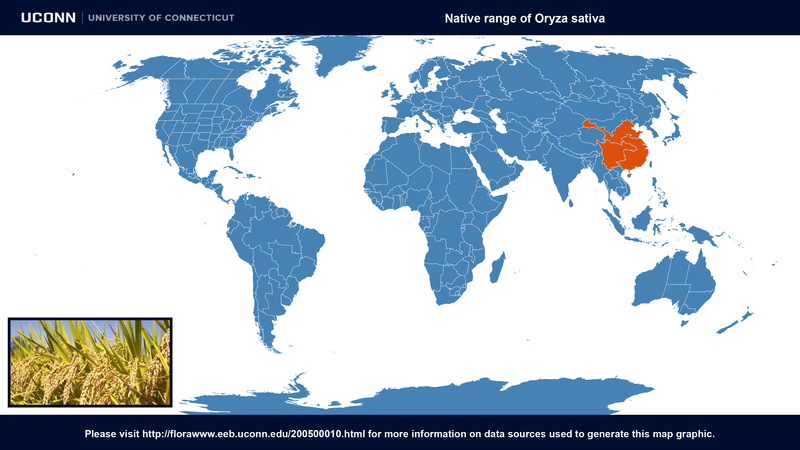 Oryza sativa at Wikispecies. Accessed 29 July 2015.